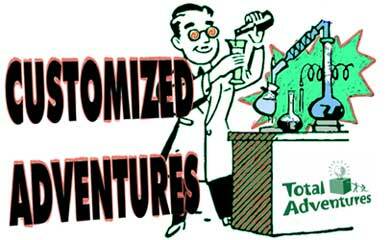 Customization…what does it entail to have Total Adventures create a tailored program for you and your team? Well for one, we are magicians when it comes to incorporating your message into the activity and we do it without hitting your participants over the head with it. Absorption and learning occur subtly; cleverly packaged in a memorable event. You no longer have to settle for the canned, boring approach that saddles so many other “been there, done that” programs. Whether it is your company’s philosophy, mission, brand, goals, market conditions, products or even competition, Total Adventures has the in house creative team to seamlessly weave your content into an engaging memorable team building activity. Time and time again we have engineered custom team building challenges that are on point yet wildly entertaining for the participants. The process is simple and totally pain free. We are a self starting, self sufficient group. 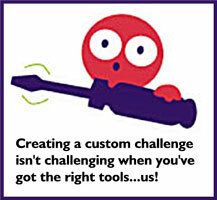 You point us in the right direction by way of a web site, intranet site, manuals, etc., and we do the rest. Our approach is to meet with you, get your input and present our initial ideas. If we're on the right track we move full steam ahead to write the cognitive information that will soon become part of an incredible team building adventure. If not, we go back to the drawing board and make sure we aim dead on target. This way time and energy is not lost in the pre-planning process. 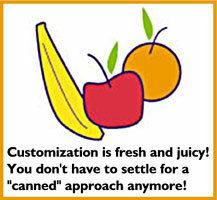 Customization fees vary based on the amount of work necessary. 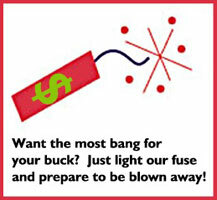 However we estimate and quote the cost upfront so there are no surprises down the road. You can count on our team to translate your goals and objectives into a tailored program that will generate lasting memories for your group and provide ROI that exceeds all your expectations.